Websites we love: Math help! Just saying the word makes some students shudder. But, you have to take it to graduate. And, yes, believe it or not, you might just use those equations, or at least the math processes, in real life. So, if you are sitting at your kitchen table until the wee hours of the morning scratching out problems over and over again, and find you just can’t figure it out, you may want to check out some of these free math help sites online. Each is designed for advanced high school math courses and beyond, so don’t worry about tripping over the little kid stuff. Military spouses are home alone, a lot. Wouldn't it be nice to have someone walk you home at night while your spouse is away? A new app created by five students from the University of Michigan does just that. The Companion app, lets users to request a friend or family member to keep them company virtually and track their journey home via GPS on an online map. The friend or family member can participate even without installing the Companion app, which is available for both Android and iOS. It’s PCS time. The movers are here. You are still weeding through a pile of stuff in the middle of your garage floor. No time for a yard sale. But you don’t want to throw it all away either. Can’t someone just come haul it off? The website, www.freecycle.org, allows users to post their unwanted goods so that other people who need those items can come and take them. If you don't have anyone stationed overseas right now, you can still send a good wishes and candy to those that are. Mars Chocolate has partnered with Operation Gratitude and NASCAR to ship care packages to troops in combat zones. While families are not allowed to send letters or packages addressed to "any U.S. soldier," they can slip a note into the boxes sent by Operation Gratitude. It’s PCS season. It’s vacation season. You may be laying your head down on a lot of pillows that are not yours. Which means you may encounter some unwanted travel companions, such as bedbugs. The tiny, flat, sometimes nearly invisible pests can hide anywhere: hotel rooms, theaters, libraries, nearly all public places. People are their main source of food. They are active only at night and leave bite marks much like a mosquito or flea. While bedbugs do not spread disease, they can very difficult to get rid of and that process often causes the most distress. Want to see if you have what it takes to compete at an Ivy League school? Here's your chance to give it a go, at Yale. The storied university was founded in 1701 and has produced some of the highest paid alumni in the top jobs on the planet, to include five U.S. presidents, 19 U.S. Supreme Court justices and hundreds of members of Congress, U.S. Diplomats, Novel laureates and Rhodes Scholars. Tuition, room, board, books and fees last year cost a cool $63,250. Per student. We shop at the commissary. It says right on the sign when you enter the door, more than 30 percent saved by shoppers here than at civilian grocery stores. More than 30 percent! We don't need to bother clipping coupons and tracking sales. Or do we? A lot of military spouses we know don't bother receiving the Sunday paper to get those coupons. They are not home enough or move too often to deal with the hassle of ordering and canceling the service. So, where to get coupons? Blogs We Love: Free Stuff for Military Families! 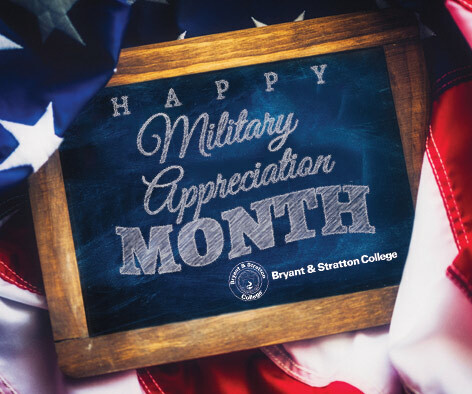 May marks Military Appreciation Month across the nation. Restaurants, theme parks, cruise lines, car dealerships and dozens of other businesses have posted discounts for military members (reserve, active duty and retired) on their websites. When mom and dad are home late after training, gone for a year to deploy and miss countless holidays, birthdays, school plays and even playtime after school because of military commitments, their kids feel the effects of military life. They are military too. They move when the service member moves. They are emotionally changed during deployment. They hurt when their parent is injured. Military children may not wear the uniform but they enjoy the rewards and carry the pain that comes with serving, just like their parent.